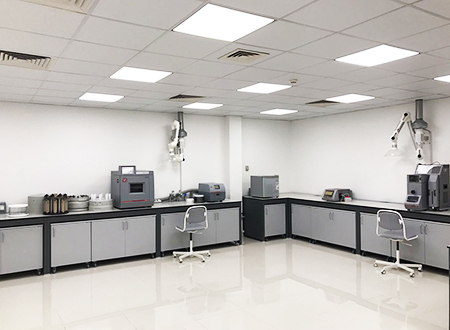 The Middle East Technical Centre is located in Dubai and is equipped with state-of-the-art Anton Paar instruments to serve our customers in the Middle East and Africa. Experience, learn and measure with our experts in the fields of rheometry, particle characterization, petrochemical analysis, and accelerated sample preparation. Visit us and make use of the possibility to speak to our application specialists for various industries. Experience the latest technology offered by the state-of-the art instruments from Anton Paar. Learn and get hands-on training from our trained specialists. Ask us for custom-tailored programs for your industry. Measure your samples on our highly precise instruments and experience the difference. MCR 302 offers advanced accessories for tribology, high-pressure applications, extensional analysis, DMTA, and many more. SmartPave 92 for bitumen and asphalt applications. Diana 700 is the ideal solution for automatically performing high-precision distillation range analysis at atmospheric pressure. Prepare your samples with Multiwave PRO, the master of sample preparation methods and Multiwave GO, the smallest parallel microwave digestion system on the market. Monowave 50 even fits into a crowded lab and is ideal for educational purposes. High level organic synthesis is performed simply with the reactor, a vial and a silicone cap. With Litesizer 500 you can experience particle analysis at the touch of a button. The PSA series represents an excellent addition to the particle characterization portfolio, which measures the size and zeta potential of dry and liquid samples based on dynamic light scattering. The intrinsically safe DMA™ 35 Ex Petrol portable density meters measure the density and concentration of your sample directly out of the sample container. With ATEX protection according to class II 2 G Ex ib IIC T4 the instruments are ready for safe operation in hazardous environments. The DMA™ 4200 M density meter measures all of your petroleum samples, including crude oil, intermediate products, asphalt, bitumen, liquefied petroleum gas and high-viscosity liquids. DMA™ 4500 M provides unparalleled ease-of-use and ensures complete transparency and traceability of the sample filling and measurement process. The SVM™ 3001 gives you more parameters than any other kinematic viscometer on the market. A single measuring cycle on a small sample volume yields kinematic viscosity, density, dynamic viscosity, Viscosity Index and more. Reliability, precision and convenience: Abbemat 3X00 refractometers offer you an exceptional combination of technical expertise and user-friendly operation for your refractive index and concentration measurements. The penetrometer PNR 12 is used for consistency and plasticity determination of pasty, creamy, semi-solid or highly viscous samples. The modular analysis system PBA-SD M measures °Brix in regular soft drinks and diet concentration in diet drinks. Cobrix 5600 provide continuous measurements of °Brix, %Diet, and CO2 during soft drink production. Besides measuring °Brix, %Diet, and CO2 concentration, various other parameters, such as alcohol content, sugar inversion, and optionally also conductivity, color, and oxygen, can be determined. Ensure the quality of your substance by delivering fully traceable viscosity results right at your fingertips with ViscoQC 100 – the rotational viscometer for quick single-point viscosity determination. Use the SurPASS 3 electrokinetic analyzer from Anton Paar in surface analysis to investigate the zeta potential of macroscopic solids based on a streaming potential and streaming current measurement. 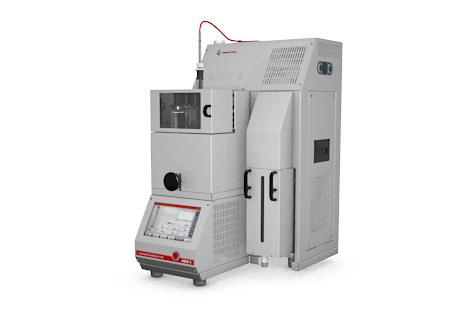 Perform the most challenging measurements of zeolites, activated carbons, and MOFs with autosorb iQ – the highly-sensitive gas sorption analyzers from Anton Paar – available with up to three physisorption analysis ports for surface area analysis and pore size measurements. Measure the open- and closed-cell content, compressibility, and cell fracture of your foam samples using UltraFoam – the single-station gas pycnometer from Anton Paar. The pycnometer stands out with built-in calculations and standard test methods as well as clear user guidance in the software, thereby guaranteeing compliant settings and measurements. Our application specialists will conduct demonstrations customized to your needs. You will see solutions to increase productivity and solve measuring challenges in many industries such as the pharmaceutical and petrochemical industries, in research laboratories and academia, etc. The centre gives you a platform to experience the latest technology available for your industry first-hand. Our measurement solutions are successfully employed in academia and research worldwide. We provide extensive support to academics for research projects, training, and sample testing in our centre. Explore the specially designed educational packages from Anton Paar that are revolutionizing the way education is passed on to the next generation. Can we bring our samples to the lab for testing? Do we need to pay for the training? The trainings are free of charge for existing users of Anton Paar equipment who can simply register for their preferred workshop from the event calendar. If you are not an Anton Paar user yet, please contact info.metc[at]anton-paar.com or contact our distribution partner in your area. You want to solve your application tasks and get the most out of our highly precise instruments for your industry? Register for your preferred training or workshop here. 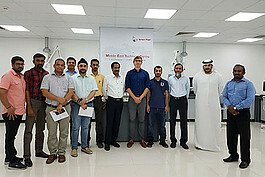 We had a successful workshop at Anton Paar Middle East Technical Centre, Dubai on "Decoding Rheology Together" with participants from University of Sharjah, Jotun Paints and Birla Institute of Technology and Science. The workshop helped the attendees to refresh their basic theoretical knowledge for applied rheological measurements. 14.02.2019: Experience Perfection from the first drop! The aim of the workshop was to introduce our customers to the latest technology in atmospheric distillation - 'Diana 700'. During the workshop, the participants were exposed to relevant methods by Dr. Soren Draffehn, which would provide them with essential knowledge for successful distillation with the distillation analyzer 'Diana 700'. The workshop also included hands-on-session with the instrument on various samples. 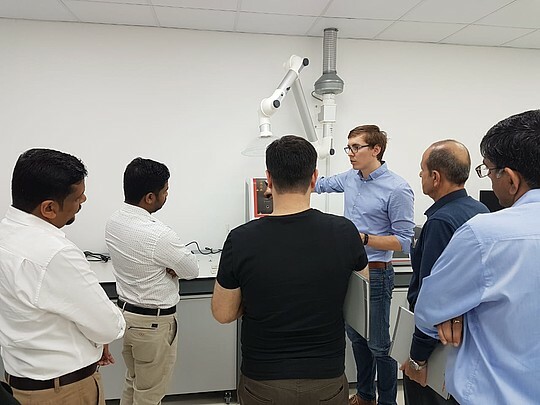 A two day sales boot camp was organized in the Anton Paar Middle East Technical Centre where the Head of Product Department at Anton Paar ProveTec, Dr. Soren Draffehn introduced our distribution partners to the new Atmospheric Distillation Analyzer - 'Diana 700' from Anton Paar. The event also witnessed the instrument in action along with detailed information regarding applications in the petroleum industry. 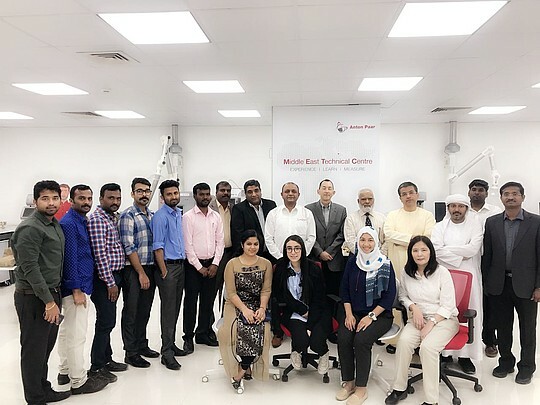 The technologists from quality control department of Hikma Pharmaceuticals visited our Technical Centre for an application training on Multiwave PRO. 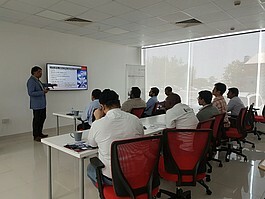 The participants learned about the use of microwave-assisted sample preparation along with its applications in the pharmaceutical industry by Mr. Krishna Muppalla, our product specialist for Analytical and Synthetic Chemistry. This would help them to learn easier methods and some tips and tricks to make their work routine quicker. To support compliance and traceability needs, a one day workshop was successfully completed at Julfar Gulf Pharmaceutical Industries by Dr. Robin Isyas. 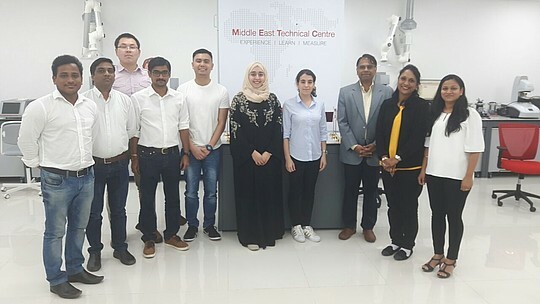 The participants learned about the broad range of laboratory and process measurement systems that are used in pharmaceutical research and quality control worldwide. This helped them to increase their application and method knowledge even more. 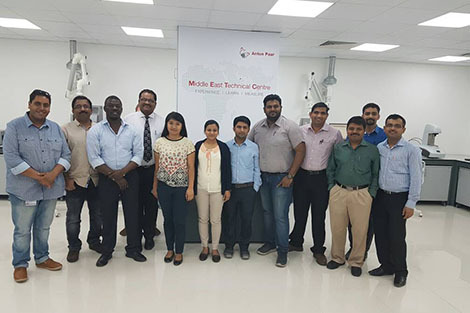 The aim of the workshop conducted at Anton Paar Middle East Technical Centre was to provide meaningful insights on innovative measurement solutions that have the potential to transform the current analysis tasks. During the workshop, the attendees learned about the extensive portfolio of measuring technologies from Anton Paar including digital density measurement, viscometry, refractometry, polarimetry, oxidation stability, sample preparation and particle analysis. This included both classroom session as well as hands on session in the laboratory on our instruments. 18.09.2018: Workshop on Comprehensive Portfolio of Measuring Solutions! 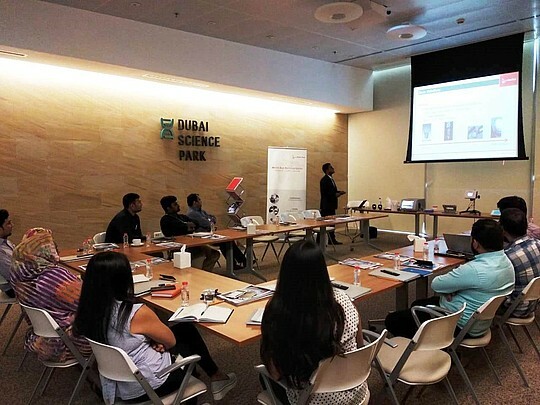 A technical workshop on “Effective Measuring and Analysis Solutions” was conducted at Dubai Science Park to introduce our wide range of measuring solutions that are successfully employed in various industries worldwide like food, flavor & fragrance, pharmaceuticals, cosmetics, beverage, petroleum and many more. The session provided essential knowledge to the participants on the latest developments in analytical instruments and state of the art products for research and quality assurance. 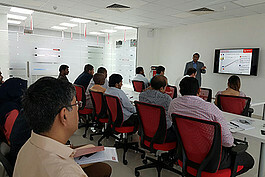 The workshop was conducted by Dr. Robin Isyas from Anton Paar India. In the one day workshop with comprehensive training on RheoCompass software by Dr. Ornov Maulik, the participants gained in-depth knowledge of the capabilities of the current software along with hands-on experience to make the most of their rheometer system (rotation and oscillation). Customers also learned how to create projects and experimental procedures independently with test specifications, adaption of charts and tables, typical evaluation methods, tips and tricks to avoid measurement errors and generate reports. In our endeavor to extend support to our customers, a two day specialized training was conducted at our centre for the participants from quality control department of FUCHS Lubricants Company. During the workshop, the attendees worked on the instruments closely and got an overview on the theory and application of density & viscosity determination, possibilities by combining with further measuring parameters and use in various application areas. 23.07.2018: Personalized Training for Khartoum Refinery Company Ltd. The Lab Engineers from Khartoum Refinery Company Ltd. attended a two day intensive workshop on the fundamentals of Density & Viscosity Measurement along with theoretical concepts of Rheology conducted by Mr. Ranju Nair and Dr. Ornov Maulik respectively. Apart from practical measurements on the instruments, the customers also learned tips and tricks to avoid measurement errors and discussed about their applications in detail with our experts. 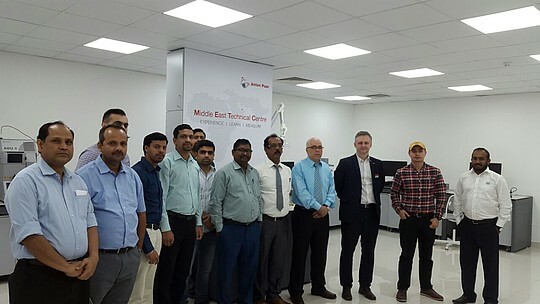 The workshop on “Basics of Rheology” conducted at Anton Paar Middle East Technical Centre by Dr. Ornov Maulik helped the participants broaden their theoretical knowledge and improve their skills in the field of Rheology. Moreover, the customers also got a chance to work on our Rheometers with Rotational and Oscillatory mode of measurement to refresh their basic concepts for practical application and design meaningful experiments to characterize their samples. 7.07.2018 – Welcome on board our new Sales Specialists from Africa! 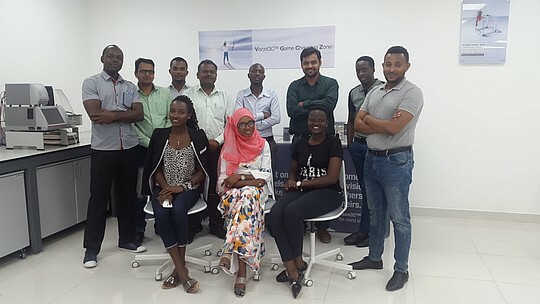 A four day sales training was organized by Mr. Ranju Nair, Mr. Sultan Singh and Dr. Ornov Maulik to train our sales specialists from newly associated partner - Vision Scientific & Engineering Ltd. in Africa region. Apart from important theoretical basics, the training also highlighted the technical and application based aspects of our wide range of products available for density & viscosity measurement, sample preparation and microwave-assisted digestion. Furthermore, the participants also had a chance to have one-on-one discussion with our experts and learn tips for making effective measurements with these instruments. We would like to welcome them on board and wish them all the best for their future assignments. A two-day Sales Summit was held on 18th and 19th June 2018 with distribution partners from Africa, Middle East and South Asia. Discussions during the sales summit revolved around actions for recent product launches and sales network strategies on how to reach our customers more quickly. The new rotational viscometer from Anton Paar - ViscoQCTM 100 was unveiled which received enthusiastic response from all those who were present. 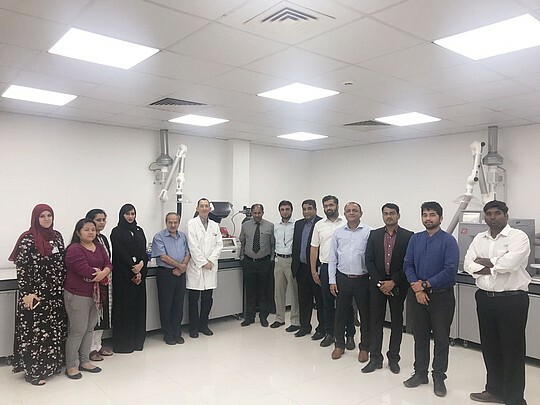 A workshop on Basics of Rheology was conducted by Application Specialist, Dr. Ornov Maulik, at the Anton Paar Middle East Technical Centre to refresh the basic theoretical knowledge for applied rheological measurements. A two-day bootcamp was organized where our specialist for Analytical and Synthetic Chemistry, Dr. Christian Trampitsch spoke to representatives from our distribution partners about the wide range of products available for sample preparation and microwave assisted digestion. The Bootcamp also included of hands-on-sessions with these instruments along with detailed information regarding application in petroleum and pharmaceutical industry. 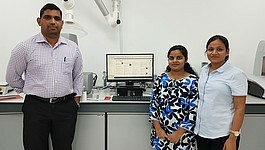 A workshop for use of microwave assisted sample preparation was held in our lab specifically aimed at the petroleum industry. 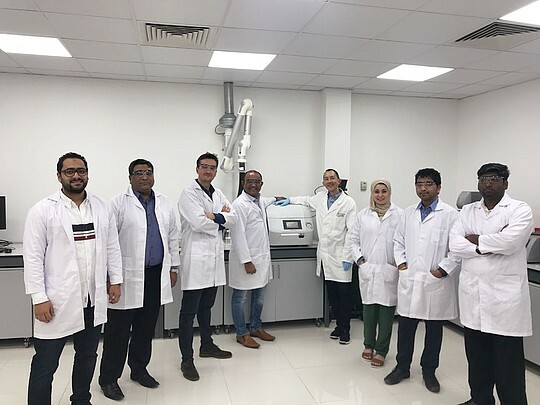 The attendees were exposed to different methods by Dr. Christian Trampitsch, which would help them significantly improve their sample preparation in order to save time and money. Dr. Christian Trampitsch our specialist for Analytical and Synthetic Chemistry conducted a workshop to introduce microwave assisted sample preparation and its applications in wide range of industries. 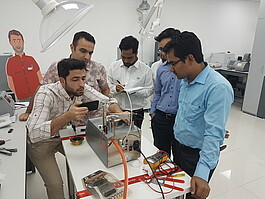 Participants from various companies from all over the Middle East attended this workshop and benefited from the hands-on-session with microwave digestion systems. 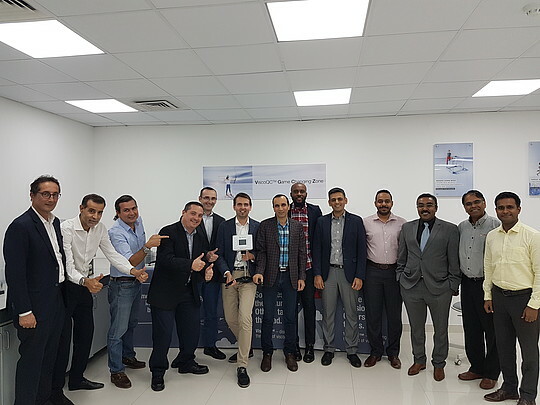 A 3 day Sales Qualification Training was conducted by our specialists at the centre which was attended by the sales representatives from our distribution partners and subsidiaries in the region. The qualification training ensures that the sales team is introduced to all technical and application based details about the Particle Size Analysers from Anton Paar. 11.03.2018 -Particle systems can be complex, but measuring them doesn’t have to be! The objective of the workshop was to introduce our customers to the new particle size analyzers from Anton Paar and experience the simplicity of using a particle size analyser in dry or wet mode easily switchable at a click of a button. 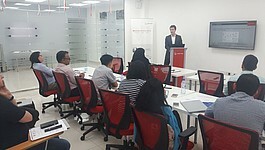 The workshop was conducted by Dr. Bernhard Scheicher from Anton Paar GmbH. 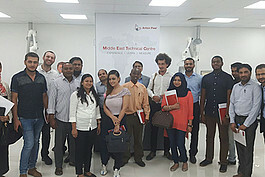 A three day Beverage Boot camp was organised in the Anton Paar Middle East Technical Centre where our Beverage specialists Mr. Shamsul Khan and Dr. Hannes Schleifer trained our distribution partners on the extensive portfolio of lab and process instruments of Anton Paar for the Beverage Industry. Such events help us to increase support to our customers. The aim of the workshop was to provide our customers with essential knowledge for successful distillation. The workshop helped them to understand the standard methods: ASTM D86, D1078, D850, the measuring principles of the equipment “ADU 5” and its applications. The workshop was conducted to extend support to our users of SVM Viscometers. During the workshop the attendees understood more about the maintenance and care of the device along with tips and tricks to avoid application errors. This included both classroom session as well as hands on session in the laboratory on our new instruments. 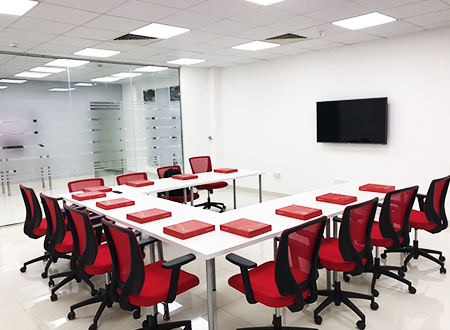 In order to provide the best services to our customers we keep improving our service network with the help of Qualification Training conducted for our service engineers. 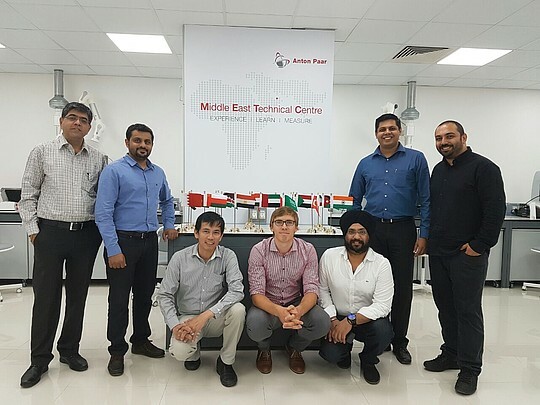 A four day rigorous service Qualification Training was conducted at the centre for 6 service engineers from various countries in the Middle East. 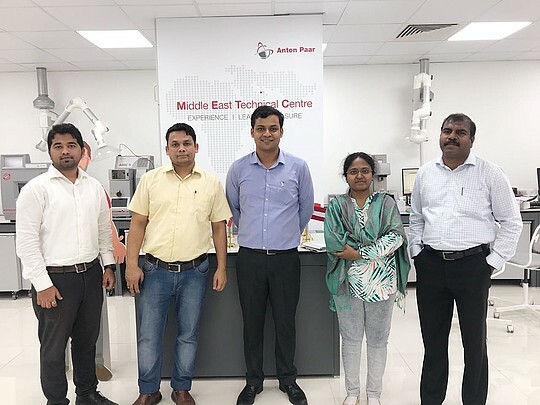 The service engineers got hands-on-training on Flashpoint testers, Automatic Distillation Unit, RKA5 for consistency and ductility, RapidOxy for Oxidation Stability, PNR 12 for penetration and Callisto 100 for Cold flow properties. 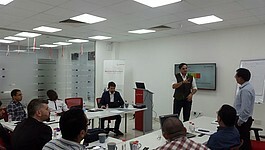 A 2 day intensive training was conducted at the Centre for Automatic Distillation Unit for sales specialist from Iran. During the training the participants worked on the instrument closely and gathered expert knowledge on handling of the instruments. They also conducted live sample tests for various petroleum samples. 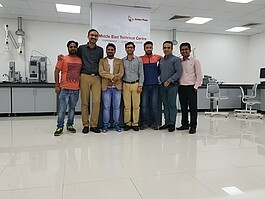 Sales specialists from Egypt, Lebanon, India, Pakistan, Iran, Dubai and Jordan attended the Sales qualification training for our recently acquired Raman Technology. During the training they were trained on the basics of Spectroscopy and worked hands on with the instrument on various samples. The training was conducted by Katharina Napp and Frederik Fleissner from Anton Paar, GmbH, Austria. Quality Engineers and Technical Managers from Cytech International and BYK visited the centre for attending a training on our advanced RheoCompass Software. This facilitated the end users to have a hands on experience and contributed in gathering more knowledge in this powerful new software. 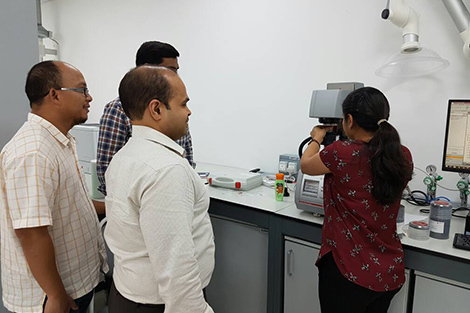 Laboratory Technologists from Kenya Pipeline Company Limited attended a dedicated hands-on-training and workshop on DMA™ 4100 M Density Meter which helped them to resolve their queries and learn how to effectively use these instruments. 11.08.2017 - Better support for customers! Anton Paar has been present in the Middle East and Africa for more than two decades represented by distribution partners. 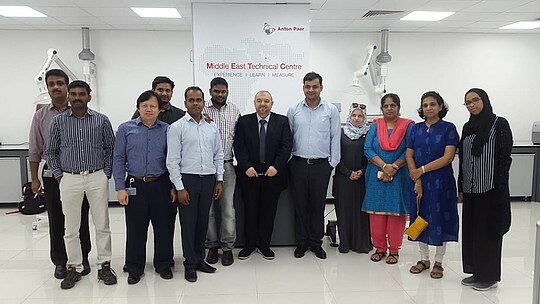 The Anton Paar Middle East Technical Centre is not only used for conducting demonstrations and training to our customer but to also help in providing stability, support, and sustainable growth to Anton Paar’s partners and also provide highly specialized training to ensure better support for customers. In the last 2 days, 4 engineers from Anton Paar Türkiye, Naizak Global Engineering Systems and BDH Middle East LLC attended our ADU 5 Bootcamp to increase their application and method knowledge even more. The 2 day workshop on "improve your ASTM D86 distillation" workshop was successfully completed with the support of Dr. Soren Draffehn and Ranju Nair. Customers learned how to make their workflow for ASTM D86 standard for distillation smoother with an ADU 5. They also got a chance to run their samples and work on the instrument. 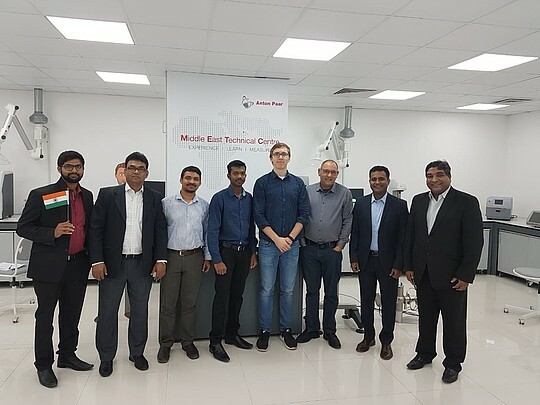 All key players for asphalt & bitumen research, production and sales within the GCC met at the Anton Paar Middle East Technical Centre to learn how an Anton Paar MCR SmartPave can be used for newest AASHTO tests and how it can profit their daily work. In the workshop on "Polymer Melts Rheology & DMTA" conducted in the Anton Paar Middle East Technical Centre the customers and students learned how polymer rheology characterization not only helps in basic understanding of the polymer’s physical properties, but also helps in solving teething processing issues like melt fracture, sharkskin and die swell. 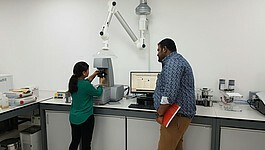 More than 15 participants learned about the extensive possibilities with the various accessories of an Anton Paar MCR rheometer in our "Extended rheology workshop" conducted at the Anton Paar Middle East Technical Centre in Dubai. 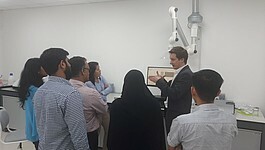 The customers got a chance to learn the "Joe Flow" tips and tricks of rheology in our workshop conducted in the Anton Paar Middle East Technical Centre on 4th of June. This will help them to effectively utilize their rheometer system. In the workshop the customers got a chance to work on the Rheometers and learn the operational aspects in a simplified way. 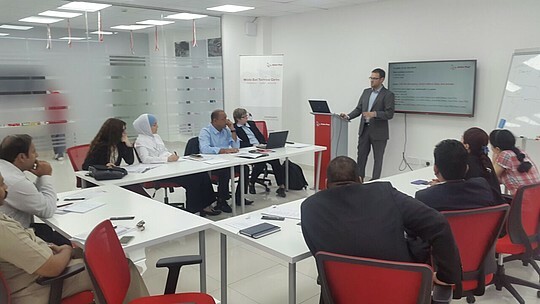 We got an overwhelming response from the first workshop conducted at the Anton Paar Middle East Technical Centre on the "Basics of Rheology" on May 22, 2017. During the workshop the participants not only learned about oscillation and rotation in rheology but also got hands-on experience on our advanced rheometers. The workshop was suitable for rheology users and those who wanted to refresh their knowledge. 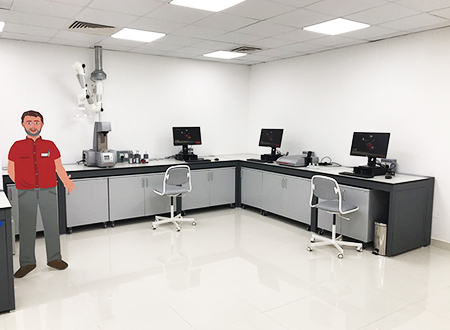 In order to serve the customers in Middle East and Africa, Anton Paar recently inaugurated Anton Paar Middle East Technical Centre in Dubai which is equipped with the state-of-the-art-lab technology. The inauguration was done by Dr. Friedrich Santner. CEO, Anton Paar GmbH on 4th of May, 2017 in the presence of a few key customers and our distribution partners.